When designing for a senior living community, the designer should always start by considering safety and comfort. No matter whether one’s designing a bedroom, an exercise facility, a dining hall, a garden, or even a hallway, these two elements should always remain a top priority. Senior living designers, staff members and family members want to ensure that residents feel safe and at home no matter where they are traveling throughout community. 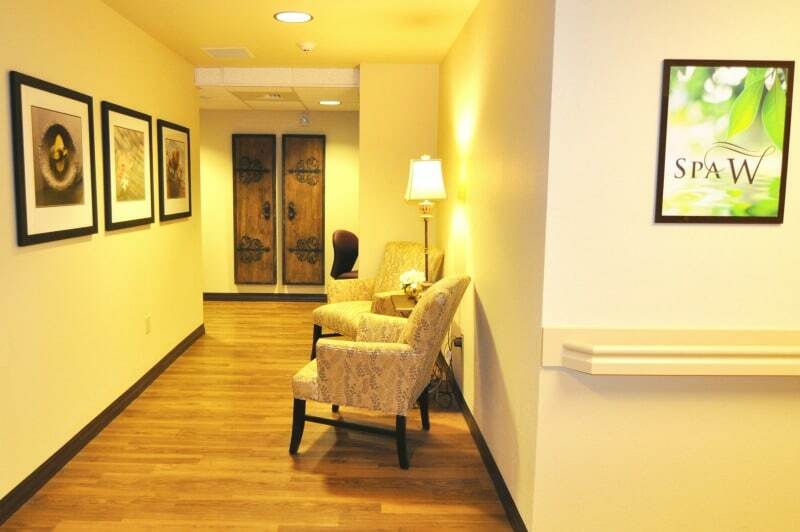 Hallways play an important role in the facility since they help connect different rooms, amenities, and the outdoors. We at Warner Design and Associates want to ensure that residents can get from one room to the next safely without concern for getting lost, slipping, or being left in the dark. That’s why we’ve put together some tips on how to improve the appearance and safety for senior living hallways. Lighting – Bad lighting can increase the risk of someone falling or tripping. However, bright lighting can disrupt sleep cycles if it’s placed too close to a resident’s bedroom. We suggest positioning the hallway lights far enough away from a resident’s doors that it’s not disruptive but close enough to ensure safe passage in and out of the room. In addition, we also recommend making sure that hallway entrances and exit doors are well lit. Handrails – Handrails are an important safety feature for senior living communities and should be securely placed on both sides of the hallway. Handrails help support residents that need assistance walking between rooms as well as prevent possible falls from residents who lose their balance when moving throughout the facility. Wide Walkways – Senior living hallways should include wide walkways and be free of any obstacles that could cause someone to trip or fall. Sitting areas are also recommended so that residents can take a break if they get tired or need to rest when moving between rooms. No Dead Ends – We suggest designing shorter hallways and avoiding dead ends because it can confuse residents — especially in specialty facilities that treat patients with dementia, for example. If you must have a dead end, we suggest having the end be a room such as the dining hall. Smoke Detectors – Smoke detectors should be placed throughout the hallways as well as in resident’s rooms to ensure protection in the event of an emergency. If you have any questions on designing hallways for senior living or specialty facilities, our team is happy to help you with any questions or concerns you may have. Feel free to contact us and check out our portfolio here.